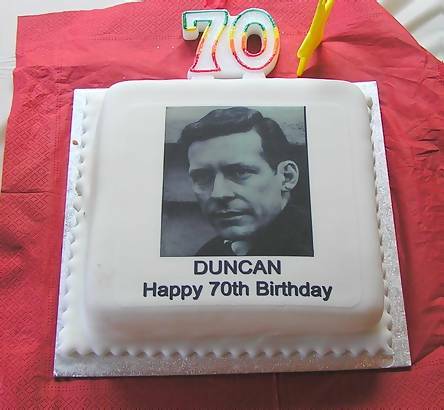 17th August 2008 saw the seventieth birthday of the owner of one of offshore radio's most instantly recognisable voices, Radio London's Duncan Johnson. 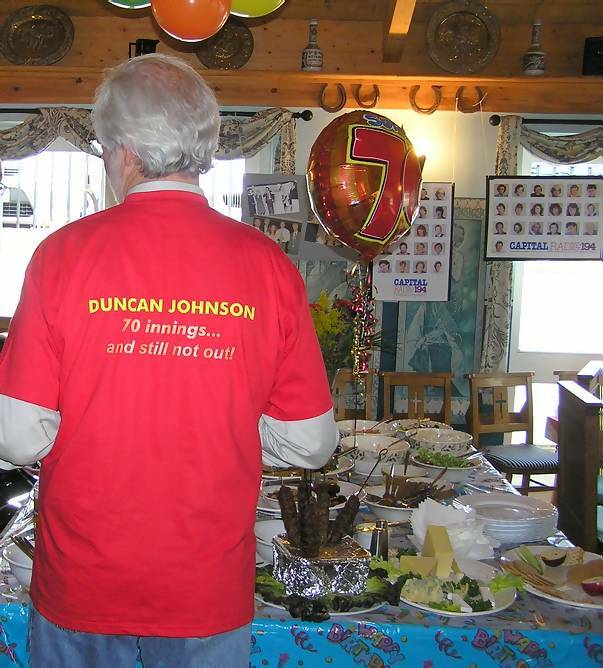 The celebrations took place the following weekend at a pub near Duncan's home in Kent, where he was joined by a large number of friends including some former Big L ship-mates. 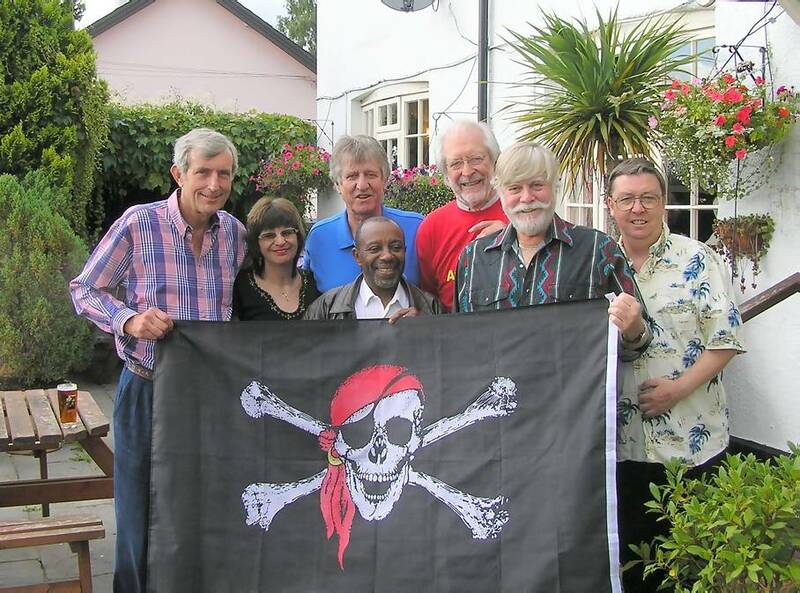 DJs Ed Stewart and Willy Walker, engineer Dave “Hermione” Hawkins and Galaxy steward Mitch Philistin were on hand to sing “happy birthday”, as was The Pirate Radio Hall of Fame. Mary and Chris Payne of the Radio London website join the ship-mates outside the pub. Left to right: Dave Hawkins, Mary, Ed Stewart, Mitch Philistin, Duncan Johnson, Willy Walker and Chris. 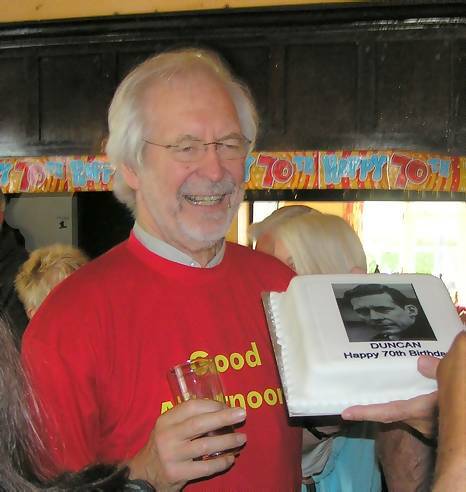 Duncan proudly displays the birthday cake, featuring a photo from his time on Radio London. 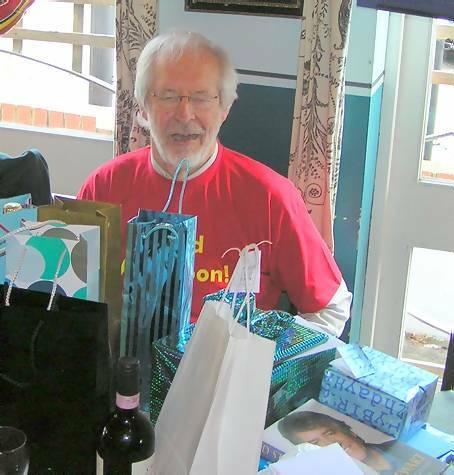 Duncan, surrounded by presents - a large proportion of which seem to be in liquid form! Duncan's back. 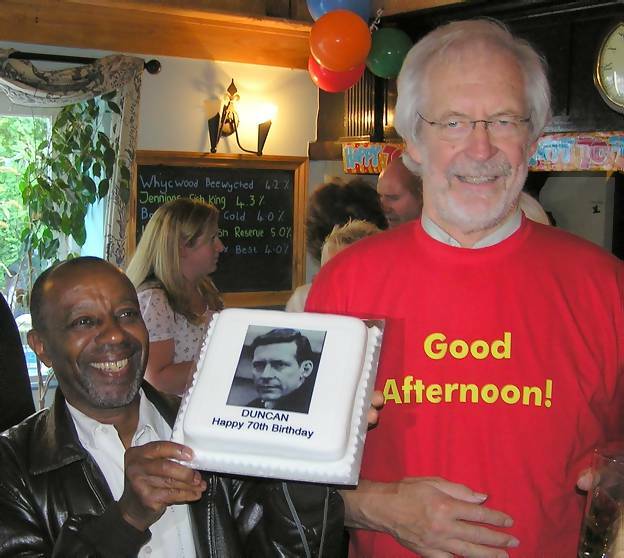 70 not out. 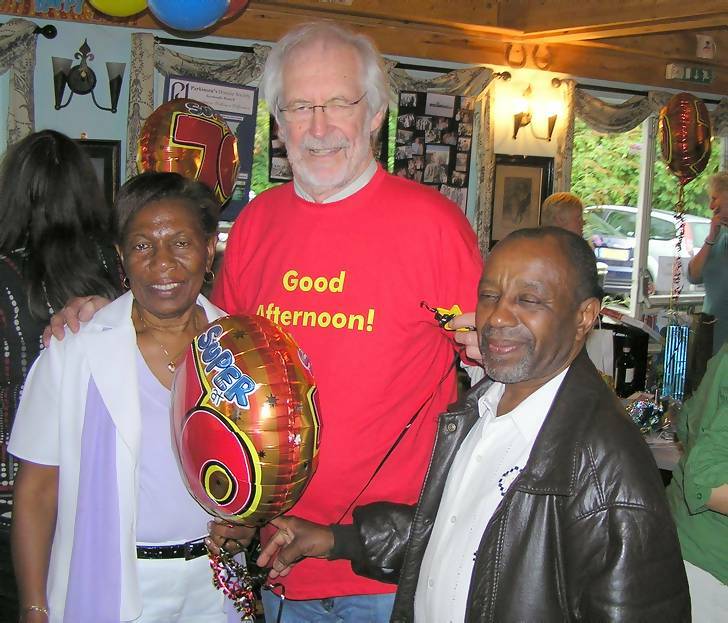 Duncan's friends “Softly” and Beverley with, in the middle, Radio London's Willy Walker. Mitch, Duncan and the cake. 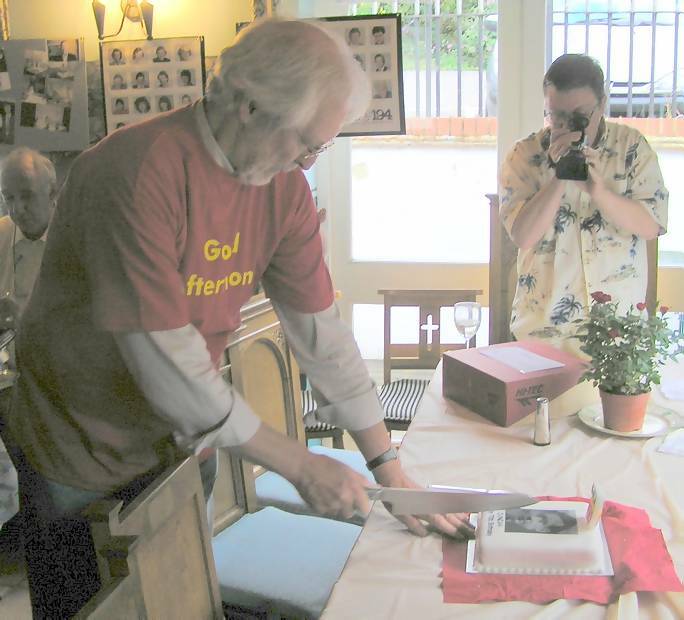 Duncan cuts the cake while Chris Payne records the event for posterity. 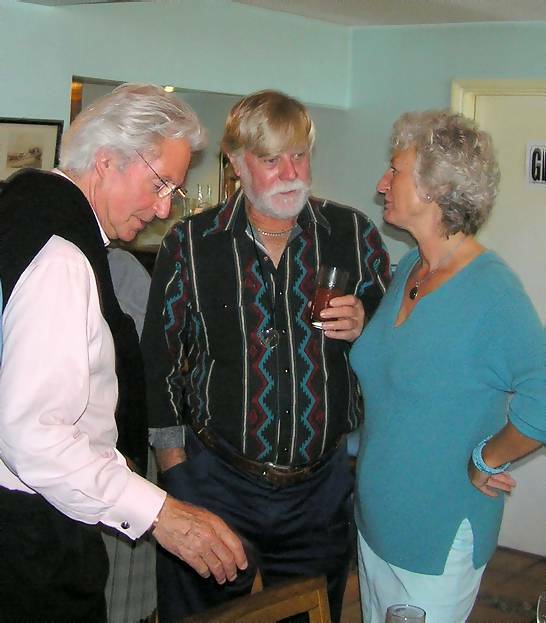 Mitch and his wife with Duncan.